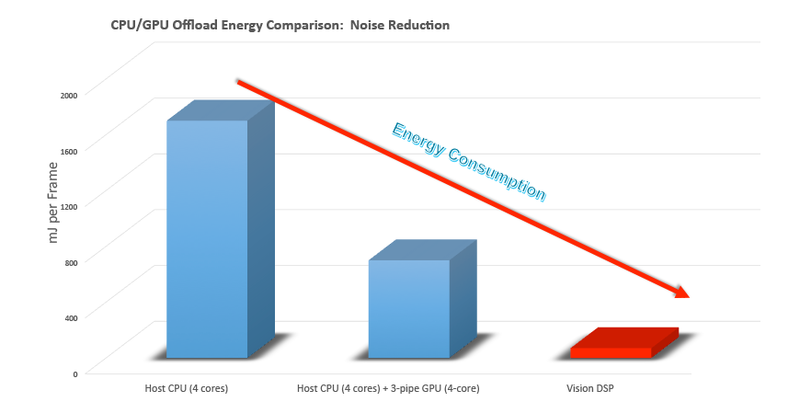 PRNewswire: Cadence Tensilica Vision P5 processor core offers up to 13X performance boost, with an average of 5X less energy usage on vision tasks compared to the previous generation IVP-EP imaging and video DSP. The Vision P5 DSP is built from the ground up for applications requiring ultra-high memory and operation parallelism to support complex vision processing at high resolution and high frame rates. It is aimed to off-loading vision and imaging functions from the main CPU to increase throughput and reduce power. End-user applications that can benefit from the DSP's capabilities include image and video enhancement, stereo and 3D imaging, depth map processing, robotic vision, face detection and authentication, augmented reality, object tracking, object avoidance and advanced noise reduction. 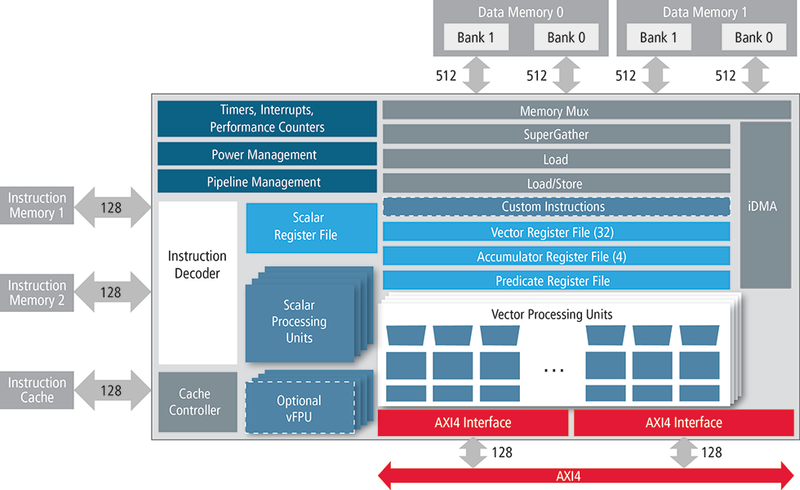 The Vision P5 core includes an expanded and optimized Instruction Set Architecture (ISA) targeting mobile, ADAS (which includes pedestrian detection, traffic sign recognition, lane tracking, adaptive cruise control, and accident avoidance) and IoT systems. EETimes believes that such kind of a processor could increase the number of cameras in smartphone from 2 to 4.